We, as a modern adult society, are quite literally “driving our children crazy in the name of education,” according to author and Boston College research professor Peter Gray. Speaking yesterday at the SXSWedu conference, where I’ll be reporting for Alt Ed Austin throughout the week, Gray cited numerous studies showing a marked increase since the mid-1950s in childhood psychopathology. This change is closely correlated, he said, with the expansion of in-school and homework hours and the attendant decline in children’s free play time over the same half-century. Careful to note that he could not definitively prove a causal relationship, he said that after more than thirty years of professional research and personal observation, he considers the “continual usurpation of children’s free time” to be the most likely reason for the rise in anxiety disorders, depression, and suicide among children and teenagers. Gray, author of a widely used introductory psychology text now in its sixth edition, explained that the higher numbers are not, as some might suggest, the results of today’s better diagnostic tools or broader recognition of these disorders; rather, they reflect data from standardized assessment tools that have not changed over the decades as they have been used to measure anxiety levels and depression in normalized samples of children and adolescents. Interestingly, the psychopathology numbers do not correspond at all with economically difficult periods or wartime, Gray said; children seem to have weathered the Great Depression, World War II, and the Cold War—all shown to have been seriously stressful times for adults—with no significant increase in mental or emotional distress. What is stressful for children, Gray posited, is the lack of freedom to play and a shortage of friends to play with. Play by definition is self-directed, Gray said. “It is nature’s means of teaching children to take control of their own lives.” We are naturally selected, he explained, to practice solving problems on our own from a very young age. Independent play, especially the kind that pushes safety boundaries—like young chimpanzees swinging just a bit too high or far—is necessary for healthy development. Animal behavior researchers believe this is about learning to regulate fear and other emotions, he said. Unlike our hunter-gatherer ancestors (and members of the few such societies that survive today), children in the United States and most other developed economies largely miss out on these crucial developmental experiences. Gray’s new book, Free to Learn: Why Unleashing the Instinct to Play Will Make Our Children Happier, More Self-Reliant, and Better Students for Life, was officially released today. It documents the evidence for his theories in detail, drawing on research in anthropology, behavioral and evolutionary psychology, and historical sources. You can also find more of Gray’s writings on play and education at his Psychology Today blog, Freedom to Learn. I would be interested in hearing your thoughts on his provocative work; please feel free to share them in the comments below. Peter Gray will give a talk and Q&A tonight at 7:00 p.m. at the Clearview Sudbury School. It is free and open to the public. More details about the event are on Clearview’s blog and Facebook event page. 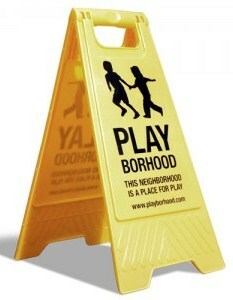 I was delighted a few months ago to receive a review copy of Mike Lanza’s recent book, Playborhood: Turn Your Neighborhood Into a Place for Play . Now that I’ve read, reread, and fully digested it, I am even more delighted to recommend it to parents and others who care about the happiness and health of children and the vitality of neighborhoods. It’s a great read, certainly, but why review it here, on this blog? What do play-filled neighborhoods have to do with authentic education? Quite a lot, as it turns out. Because we believe in the importance of free play here at Alt Ed Austin, and because place-based approaches to education are some of the most promising and necessary for a sustainable future, I found Playborhood to be highly relevant to the conversations that take place among parents and other educators with whom I work in the alt ed community. In fact, to make sure more of you have the opportunity to read and share this book, I’m giving away three copies! Read on to the end of this review to find out how you can win one. Lanza begins by outlining what he calls the “free play problem.” In contrast to his own experiences growing up in the 1960s and ’70s surrounded by kids ready and willing to do stuff together—running, biking, climbing, exploring, tinkering, building things, making art, and playing games of their own invention, largely under their own direction—U.S. children today spend the majority of their “free” time isolated in their own homes, enduring ever-increasing homework loads, becoming overly dependent on electronic forms of entertainment and communication, and being driven to and from highly structured activities outside of their own immediate neighborhoods. In his view, they are missing out on opportunities to develop valuable relationships with neighbors of all ages, interact with local businesses and institutions, understand and feel part of the natural world, learn self-reliance, hone specific social skills, exercise their creativity in multiple ways, and simply have fun. But Playborhood is not a work of nostalgia, nor is it a diatribe on what’s wrong with kids these days. It is primarily a practical, solutions-oriented book. Lanza outlines a complex web of causes and effects of the changes in children’s lives over the last several generations. He cites research and analysis by Peter Gray, Madeline Levine, Richard Louv, and other social scientists and journalists on the critical importance of free play—not just for healthy childhoods, but for fulfilling adulthoods as well. He writes that free play helps children discover their intrinsic motivation, which is “the most likely path toward a successful, happy life.” Most importantly, he shows and tells what steps we can take to encourage free play to happen in our own neighborhoods. Making time and space for free play is not about simply limiting screen time or cutting back on structured activities and test tutoring in favor of making your kids go out and play. What if there are no playmates to be found? Lanza explains that “the neighborhood play problem is more a social problem than an aggregation of individual problems.” It thus requires that parents take bold, collective action to change neighborhood culture and priorities. Lanza himself, the father of three young boys, has taken a fairly radical approach, converting his conventional suburban front yard into an irresistible neighborhood playground and opening his family’s back yard (which features an in-ground trampoline much safer than the more common kind) to any neighbor kid who wants to come and play (by the rules, of course, for safety and consideration of others). One of the most popular and visible play spaces he has created on his property is a giant map of his neighborhood painted on the driveway (as shown on the book cover), where kids play with toy vehicles and legos and create all sorts of games related to their own immediate surroundings. While Lanza acknowledges that he is more fortunate than most of us to have been able to spend a considerable sum of money on his front and back yards for the benefit of his own kids and their entire (affluent) neighborhood, he devotes several chapters to showcasing other kinds of communities that have successfully created playborhoods, some of them on little to no budget. One impressive case study is that of Lyman Place in the Bronx, one of the poorest neighborhoods in the United States, where the irrepressible Hetty Fox presides over the Play Street she and other neighborhood activists have created every summer for more than thirty years. Another inspiring example for me is Share-It Square in Portland, Oregon, where neighbors gradually “occupied” a neighborhood intersection in creative ways, establishing intriguing spaces and structures for kids and adults on each corner, a beautiful work of art on the pavement to mark the intersection as a special place, and regular community gatherings right in the street. One of the corners includes an informal book exchange, an early example of the “little free library” concept that has been taking hold in communities around the country, including Austin. Lanza posts regularly on the blog that shares his book’s title (and where you can buy the book as well as Playborhood signs). Not every post is entirely in line with my own views, but it’s always thought-provoking, and I wholeheartedly endorse the book. Mike Lanza is an original and persuasive voice for the fundamental values of neighborhood, “real life,” and childhood. The playfully subversive cultural movement he has instigated is right in step with the work of Austin’s most transformative educators. Leave a comment below about your own neighborhood. Do you consider it a Playborhood? Why or why not? “Like” Alt Ed Austin on Facebook if you haven’t already—and while you’re at it, add us to your interests list to make sure you get all our updates. Share this blog post on your Facebook timeline (there's a handy little link below). Check back here after Wednesday night, when winners of the random drawing will be announced as an update to this post. In the meantime, go out and play! Congratulations to our randomly selected winners, Tiffany Craven, Stew Magnuson, and Kami Wilt! Each will receive a free copy of Playborhood early next week. Thanks to everyone who entered the drawing; I appreciate your excellent comments on this blog post as well as the many new likes and shares on Facebook. Welcome to the Alt•Ed Austin community! You can order your own copies of the book through author Mike Lanza's Playborhood.com. 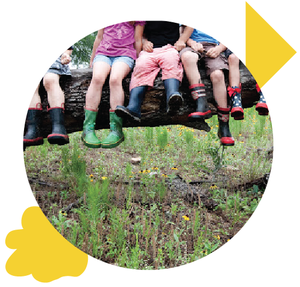 I look forward to learning how all of your neighborhoods become better habitats for free-playing kids.